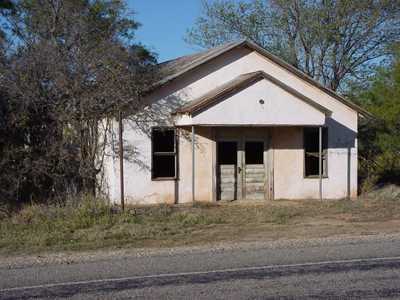 Ghost Town Clairemont Texas, Former Kent County Seat. The former Kent County Courthouse is the community center today. 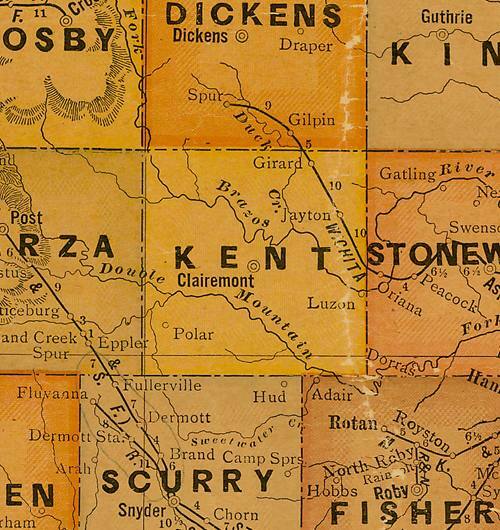 Clairemont was the county seat in 1892 when Kent County was organized. 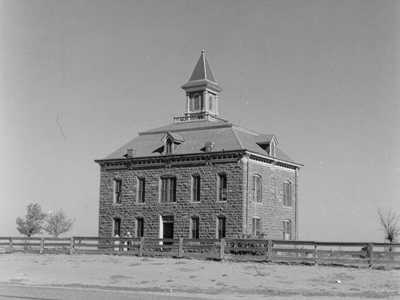 A red sandstone courthouse and jail were constructed three years later. 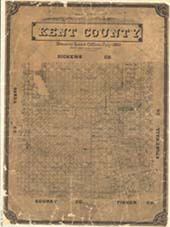 Kent County’s initial map was one of the ones drawn by draftsman William Porter (later O. Henry) when he was working at the Texas General Land Office. R. L. Rhomberg owned the land that became Clairemont therefore had a say in the naming of the town. He named it after a relative named Claire Becker. A post office was granted by postal authorities in December 1892. In 1909 the Stamford and Northwestern Railroad bypassed Clairemont, but surprisingly the town didn’t shrivel and die as did most bypassed towns. 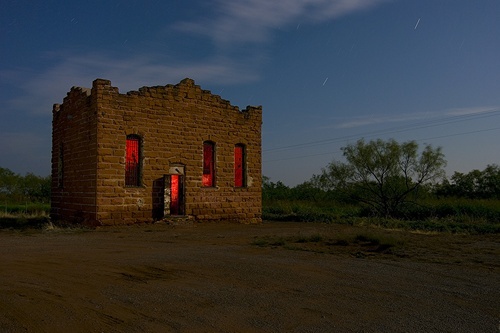 The population, like most of West Texas, had always been slight. The 30s and 40s had about 150 people calling the town home. It had doubled by the 1950s. As the county seat, and with five businesses thriving, Claiemont’s future looked bright. But water was scarce and oil companies moved to richer fields. Then came a lengthy court battle over an election where Jayton (who had more water) became county seat in 1954. The courthouse burned shortly after the county records were moved. To add insult to injury, a school consolidation finished the town for good. Without the county offices and the school, there was nothing for the town to do but head directly toward ghost town status. The post office closed in 1970 when there were still thirty-five residents. Although several families lived near town, only Margie (Ma) Hart lived in the city proper – running the last business. "The Courthouse burned on April 12, 1955, at about 9:00pm - 9:30pm." - J. J. Montgomery. The second floor was destroyed by the fire. 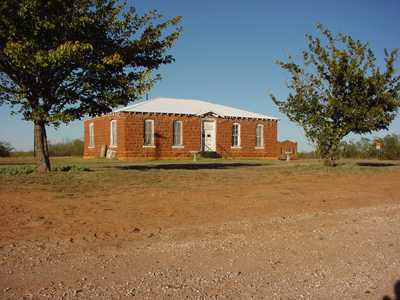 "...Named after Alamo defender Andrew Kent, the county was organized in 1892. A land dealer named R.L. Rhomberg donated a town site for a county seat named in honor of a young family member, Claire Becker. A two-story courthouse with an attic and cupola became the hub of a new community that soon featured all the amenities, from general store to post office to livery stable.... more"